The government has set up Anil Baijal Panel to suggest a framework to assess CSR activities. The committee would work on money spent on such activities, by the corporates. 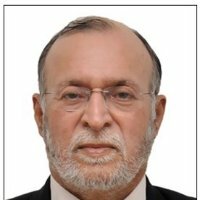 Anil Baijal panel is expected to submit its report within next six months. It will assess the Corporate social responsibility (CSR) activities undertaken by companies under companies act 2013.
i) To recommend suitable methodologies for monitoring CSR provisions. ii) To suggest measures to evaluate CSR initiatives by the companies. iii) To identify strategies for monitoring and evaluation of CSR initiatives through expert agencies and institutions to facilitate adequate feed back to the govt with reference to the efficacy of CSR expenditure. iv) To look at whether a different monitoring mechanism is needed for government companies undertaking CSR works. If it is found necessary, then necessary suggestions will be made. The CSR norms is applicable to companies with an annual turnover of 1000 crore rupees and more, or a net value of 500 crore rupees and more, or a net income of 5 crore rupees and more. Around 14000 crore rupees are expected to be spent towards CSR activities by companies in 2015-16.